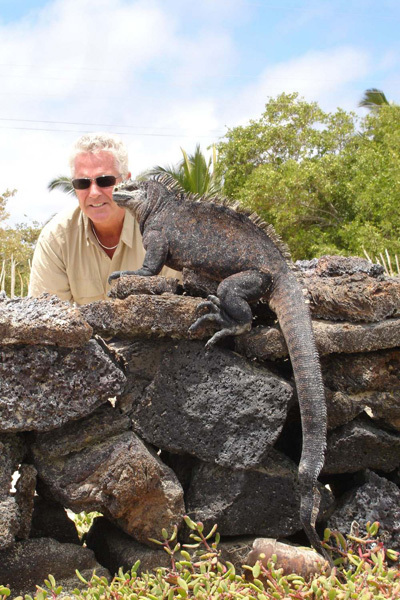 Robert Gannon writes from the Galapagos. The World Flying Adventure Continues. This is the 24th leg of my world flying adventure. Reconnecting with Lucky Lady Too in Montevideo, Uruguay, where she had her annual inspeciton, we headed thru northern Argentina then attempted getting across the Andes south of Mendoza only to be blown back. Retreating further south we were finally successful from Neoquin, Argentina to Temuco, Chile. Heading north we landed in Santiago, Valpariso, Vina del Mar, La Sarena, Calama, San Pedro de Atacam, Iquique and Arica then entered Peru at Arequipa (elevation 8,400 feet) the highest airport so far of my trip. Parking LLT, I continue by road, and rail to the floating villages of Lake Titicaca then onto Cusco and Machu Picchu. Returning to LLT we continued to Nazca to fly over the Nazca Lines enroute to Pisco where 80% of the town was destroyed killing 800 people just a month and half earlier. 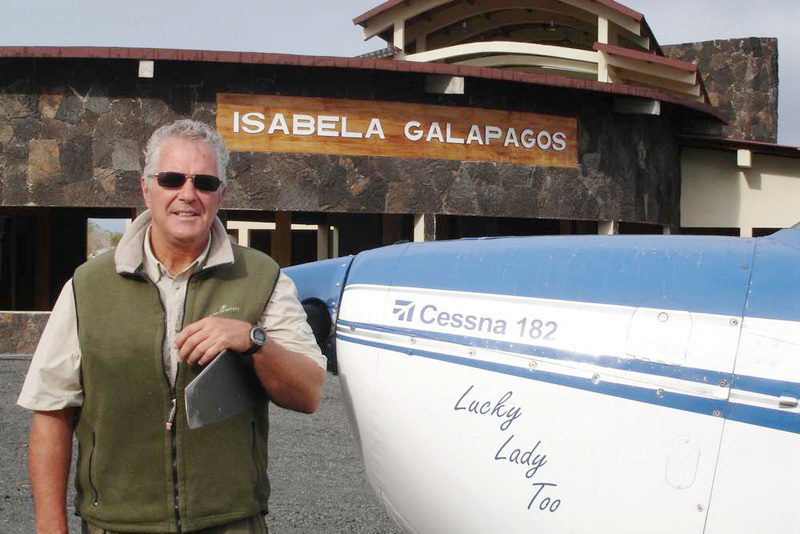 Onto Lima, Trullijo and Chiclayo, Peru then entered Ecuador at Guayaquil where I filled LLT to her mazimum with avgas to make it out to the Galapagos Islands and back (600 miles off of Ecuador). Fortunately, we landed on all three islands that have an airstrip (Baltra, Isabella and San Cristobal) and even went scuba diving. Returning to mainland Ecuador we headed up to the 10th highest city airport in the world, Quito (9,200 feet elevation). Getting in was one thing, the real challege was to get out thru a pass going east toward the Amazon. LLT crawled up to 14,500 feet (it is her best to get to this elevation, after all she will be 40 years old next year). We luckily had visual weather to get thru a pass in the Andes near Banos, Ecuador that has an active volcano spitting out at 16,000 feet. We are now in Iquitos, Peru (on the Amazon River) the largest city in the worldwithout a road to it. Tomorrow we head slowly down the Amazon to park Lucky Lady Too in Manaus, Brazil. I now have landed in 640 places in 60 countries.